Article: Jake Miller Looked Super Dapper On Set Of His “Good Thing” Music Video And We Can’t Wait To See It! 2016 has certainly been a stupendous and unforgettable year for singing phenomenon Jake Miller – from releasing one epic EP, to announcing his upcoming tour, and an endless list of marvelous successes. Jake Miller also released one outstanding music video to his hit song, “Overnight,” which starred the immensely talented, Olympic gold medalist, Simone Biles. Now, Jake Miller is finishing off his spectacular year by working on his new music video for his sensational song, “Good Thing” and it is bound to be another one of his many masterpieces. 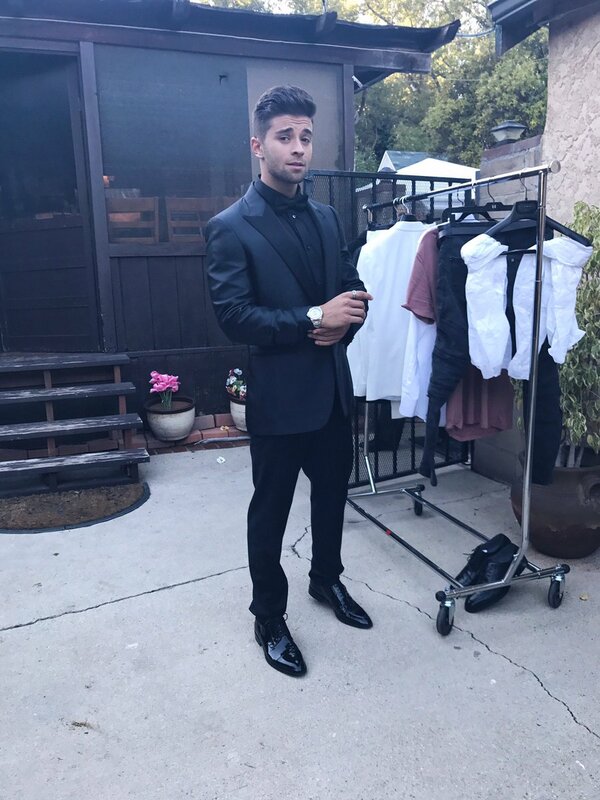 The remarkable Jake Miller gave us all a little behind-the-scenes look as he was on set of his “Good Thing” music video yesterday, December 28th, and he looked super dapper as he was dressed to the nines in a fantastic suit. Needless to say, we’re super excited for this music video to come out and we’re left on Cloud 9 after seeing all of these swoon-worthy photos Jake shared. Jake Miller shared the outstanding photo as seen below through his Twitter account from his time on set. He also showed us all a timeline of just how dashing he’s looked from the very beginning – we’re #living for this picture. Check out some more photos below of Jake Miller on set of his “Good Thing” music video and be sure to stay connected with Jake to be the first to watch his music video once it comes out. We know that 2017 will be another incredibly successful and exceptional year for this singing sensation! Follow Jake Miller on Twitter and Instagram: @JakeMiller and check out our VIPAccessEXCLUSIVE updated interview below. Previous VIPAccessEXCLUSIVE: Riele Downs And Reiya Downs Interview With Alexisjoyvipaccess At The Skechers Pier To Pier Walk! Next VIPAccessEXCLUSIVE: Jailen Bates Interview With Alexisjoyvipaccess At The Skechers Pier To Pier Walk!